Every student deserves an effective teacher, one who is always seeking the very best ways to reach each student. While there has always been an onus on teachers to commit to improving, state and district leaders must also improve professional learning opportunities for teachers. Fortunately, as a state, we are beginning to take strides in this direction. In September, a task force convened by Superintendent of Public Instruction Tom Torlakson’s office released “Greatness by Design.” This report proposes sweeping changes to the way teachers are recruited, trained, brought into the profession, mentored and evaluated. For instance, traditional professional development might bring teachers together for an hour after school to learn about a writing strategy the principal wants to implement. In a system of professional learning, on the other hand, the principal would engage teachers already using the writing strategy to collect and analyze data on its effectiveness and develop a plan to roll it out across the school based on the readiness and individual needs of the other teachers through training, coaching and monitoring. We’ve seen how professional learning improves teacher effectiveness and student learning through our work. In Hillsborough County, Florida we are supporting the district in using systemic mentoring and coaching aligned to district evaluation systems. Here, teachers are offered data-driven, targeted, job-embedded professional learning supported by a menu of courses to enhance learning by both interest and need. Another example is Tulsa, Oklahoma, where engagement by both central office and site staff allows teachers, principals and district leadership to engage in ongoing professional learning at the individual, cohort and job-alike structures. Now, a small group of education leaders across California are writing California’s Professional Learning Standards based largely on the work of Greatness by Design. Professional learning standards clearly state how teachers should be supported in their own professional growth within an aligned system. In such a system, teachers are provided with just-in-time, differentiated supports where the needs of the students and the strengths and growth areas of the teacher are blended together to positively impact a teacher’s effectiveness and his/her students’ achievement. Such standards have long been absent in California and, as a result, teacher professional learning is all over the map in terms of quality. It’s high time California takes this critical step for supporting our teachers. Many states across the country have already adopted or adapted professional learning standards developed in coordination with 40 professional associations and educational organizations by the professional association Learning Forward, while others have written their own. In California, Long Beach Unified wrote their own standards, recognizing long ago how important such standards are to guiding educator effectiveness. The Broad Foundation listed Long Beach’s support for teaching and learning as part of its criteria for awarding the district the Broad Prize for Urban Education in 2003. Such standards will provide other districts in California a clear road map for implementing professional learning practices that will most impact teacher effectiveness and student learning. We hope that Greatness by Design and the standards soon to come out of it are supported by state- and district-level policies to support professional learning. That means dedicating funding for high-quality beginning teacher support and assessment models to provide robust and focused support for accelerating new teacher learning and development for the critical first years of teaching; aligning credentialing requirements for teachers and administrators to the impending standards for professional learning; and supporting Common Core and Smarter Balanced implementations. As we focus on teacher effectiveness to increase student learning, we cannot merely focus on accountability. We must also remember teachers are learners, too. Only when accountability is paired with professional learning can we dramatically improve outcomes in classrooms across the state. 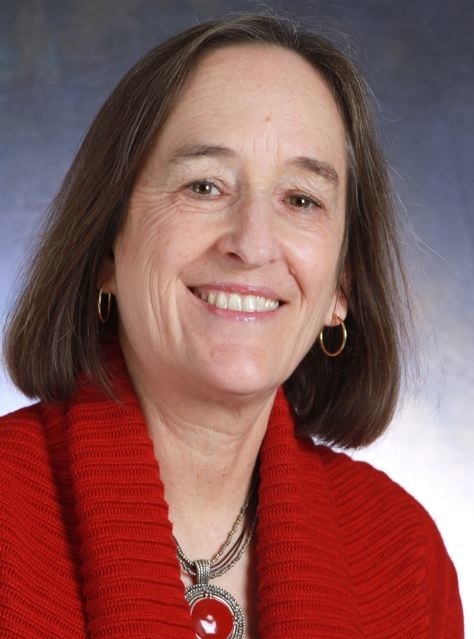 Ellen Moir is founder and chief executive officer of the New Teacher Center, a national nonprofit organization that she founded in 1998 to improve student learning by accelerating the effectiveness of teachers and school leaders, especially in underserved areas.